In an era when brand loyalty is low and demands are high, it makes sense that customization has taken off. Shoppers can design their own Nike sneakers, Brooks Brothers suits, Burberry trench coats and Longchamp bags. Global brands are hoping that customization will create a deeper connection for local markets. Plus, given that one-of-a-kind products have lower return rates and can fetch higher prices, it seems like a no-brainer. It’s no wonder the bespoke tailoring and localized customiztions are an eternal success story. 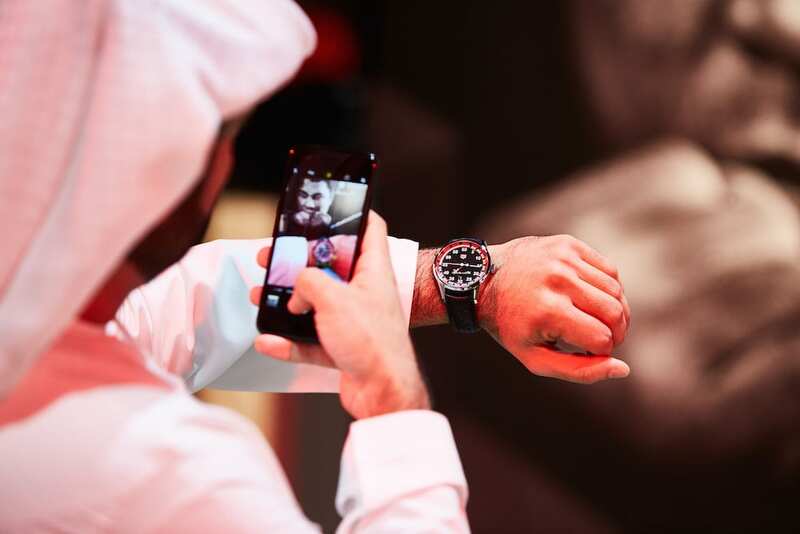 TAG Heuer, in partnership with Ahmed Seddiqi & Sons, captivated its Dubai audience by exhibiting its exquisitely crafted Muhammad Ali Middle East timepiece. The watch was unveiled in Doha earlier this month at the fourteenth edition of the Doha Jewellery and Watches Exhibition, which is regarded the most exclusive in the world for HNWI to view and purchase unique watches, jewellery, diamonds and precious stones. To mark the Dubai debut of the Muhammad Ali Arabic Dial creation, TAG Heuer organized an exhilarating boxing class to celebrate. Payal New York, custom diamond jewelry tailor based in Dubai and sponsor of Harper’s Bazaar’s Best Dressed understand the importance of bespoke customization for her clients. In Dubai, where glamour reigns all, Payal specializes in extravagant jewelry for the Dubain socialite. From cultural adaptations to personal tailoring, customization trends are breaking through the Dubai market.